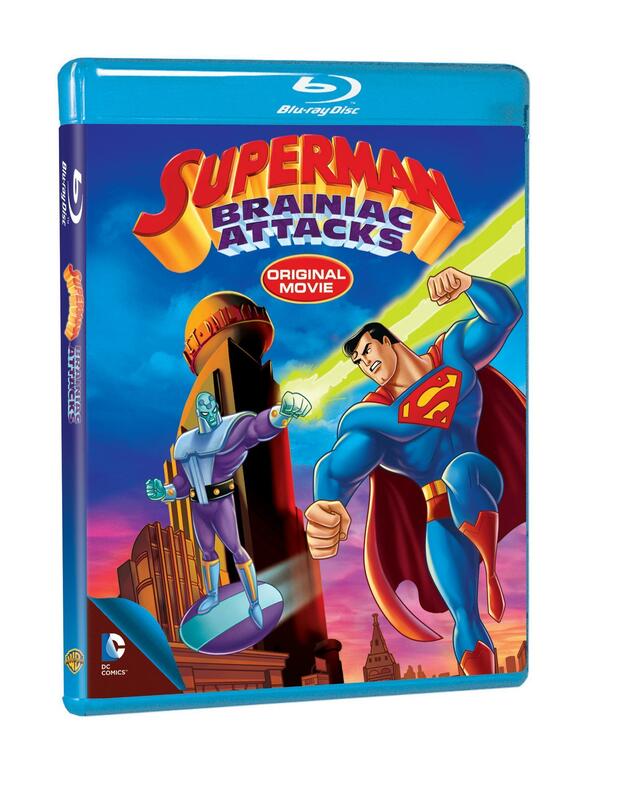 The Canadian network Teletoon is scheduled to air the 2006 direct-to-video animated feature Superman: Brainiac Attacks later this month as part of the Superfan Friday programming block. 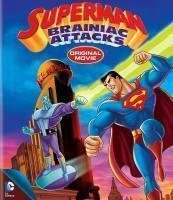 Superman: Brainiac Attacks will air Friday, December 16th, 2011 at 7:00pm, pre-empting the usual programming for the night. Please note schedule details are subject to change without notice. Teletoon has provided the following details as seen below. 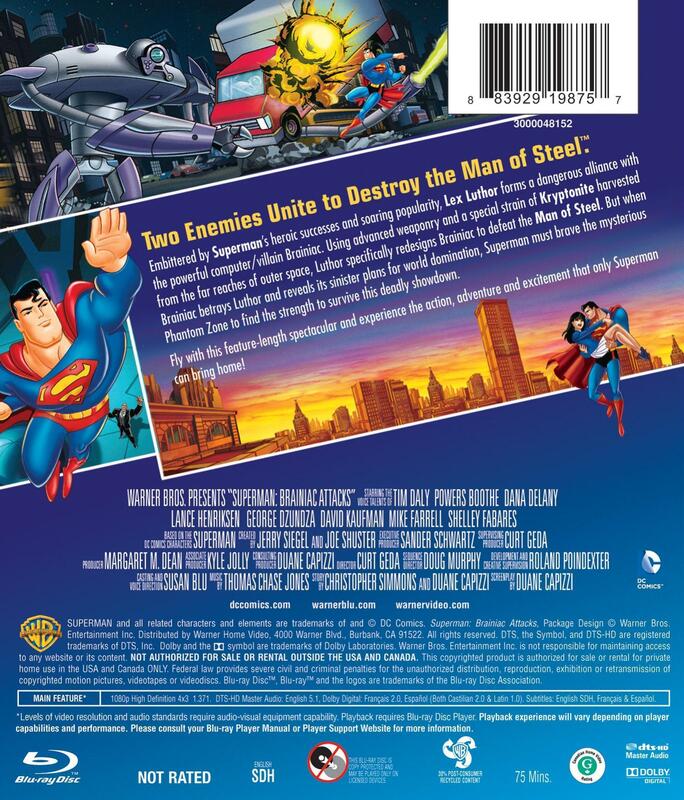 Embittered by Superman’s (voiced by Tim Daly) heroic successes and soaring popularity, Lex Luthor (voiced by Powers Boothe) forms a dangerous alliance with the powerful computer/villain Brainiac (voiced by Lance Henriksen). Using advanced weaponry and a special strain of Kryptonite harvested from the far reaches of outer space, Luthor redesigns Brainiac specifically to defeat the Man of Steel. Further details on the direct-to-video Superman: Brainiac Attacks animated feature can be found at the The World’s Finest Superman: The Animated Series subsite. Stay tuned for further updates, including exclusive content and much more, here soon at The World’s Finest. Warner Bros. Interactive Entertainment and DC Entertainment today released a new trailer for the acclaimed Batman: Arkham City video game. The trailer promotes the new downloadable content featuring a host of different character skins. 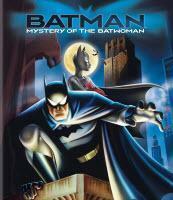 Batman: Arkham City is currently available on Xbox360 and Playstation3. Click on the thumbnail below to view the footage in the MP4 format, along with additional press details for the release. Warner Bros. Interactive Entertainment and DC Entertainment have confirmed that the Batman: Arkham City Skins Pack is available now in the Xbox LIVE Marketplace for 400 Microsoft Points and for Games for Windows for $4.99. The pack is also available in North America in the PlayStationNetwork for $4.99. 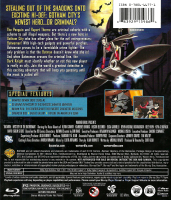 Published by Warner Bros. Interactive Entertainment and developed by Rocksteady Studios, Batman: Arkham City builds upon the intense, atmospheric foundation of Batman: Arkham Asylum, sending players soaring into Arkham City five times larger than the game world in Batman: Arkham Asylum and the new maximum security home for all of Gotham Citys thugs, gangsters and insane criminal masterminds. Set inside the heavily fortified walls of a sprawling district in the heart of Gotham City, this highly anticipated sequel introduces a brand-new story that draws together a new, all-star cast of classic characters and murderous villains from the Batman universe, as well as a vast range of new and enhanced gameplay features to deliver the ultimate experience as the Dark Knight. 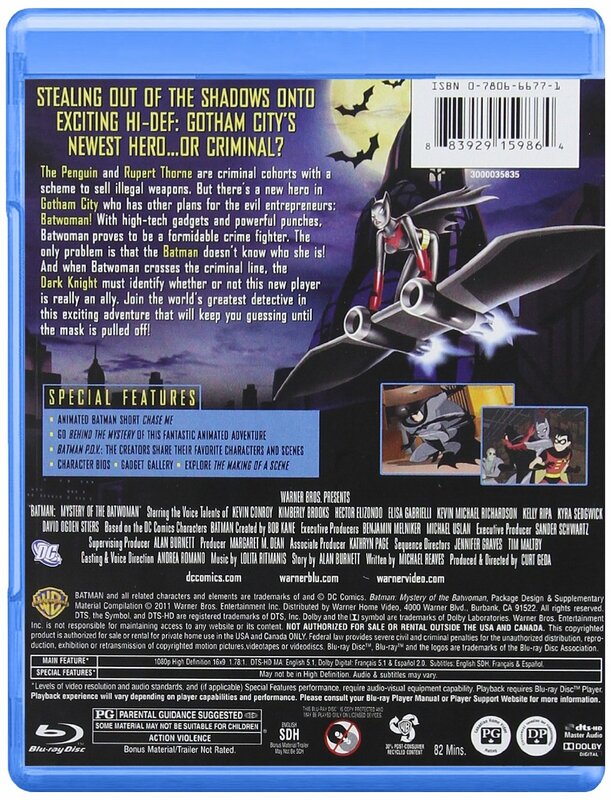 Batman: Arkham City is based on DC Comics core Batman license. 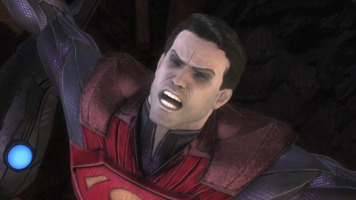 Fans can find us online at www.batmanarkhamcity.com. 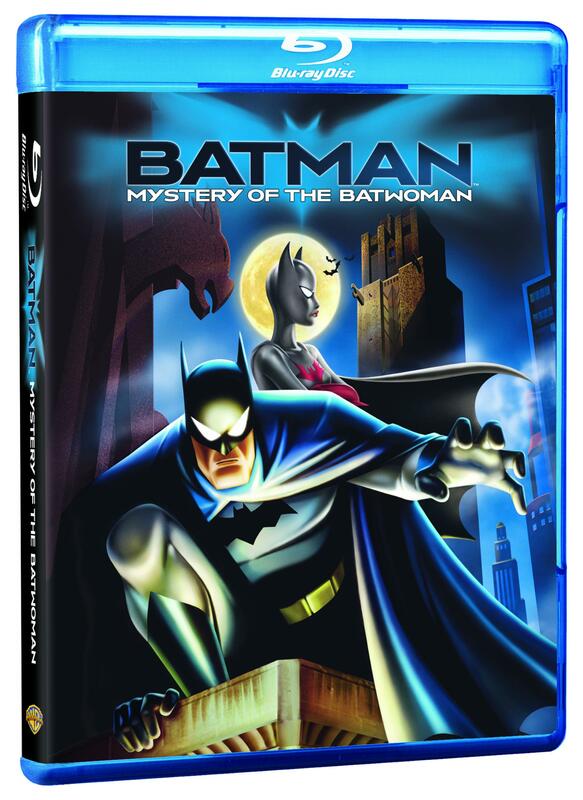 Kevin Conroy and Mark Hamill reprise their respective roles as Batman and Joker in Batman: Arkham City, the highly-anticipated sequel to the critically acclaimed Batman: Arkham Asylum video game, along with Emmy Award-winning Batman writer Paul Dini again penning the story. 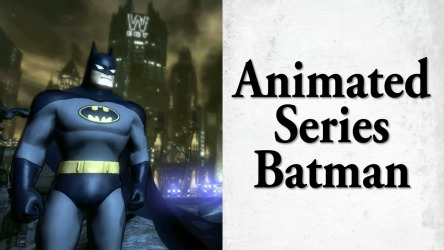 Click here for more content from the Batman: Arkham City video game. To discuss the video game below, please click on the links below.